ALL IN ONE – Jatibarang Reservoir ! new tourist destination in my cities. 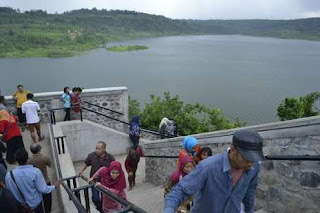 Reservoirs are located in Kandri Village, District of Gunungpati, Semarang, Central Java, it right in the tourist area which previously existed, namely Goa Kreo (Kreo Cave). If you come here, visitors were treated to two tours at once, which is enjoying the beauty of nature and play with long-tailed macaques. 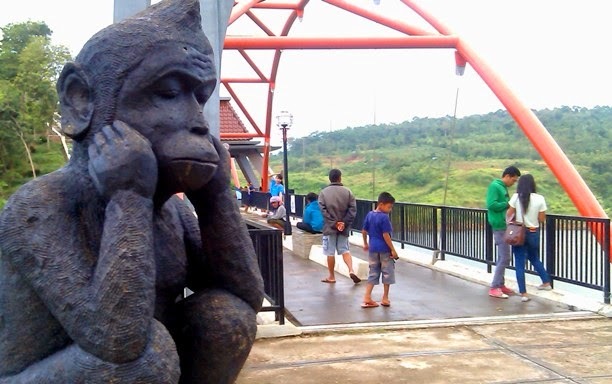 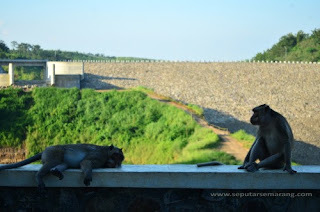 Every holiday, visitors are very much because entrace ticket is cheap, only about IDR 5.000 ($0,5) only. Food vendors in the form of kiosks or stalls already lined up and ready to serve tourists who want to eat while watching the exquisite stretch of the reservoir that can accommodate a total of 20.4 million m3 of water. 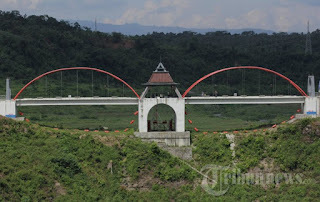 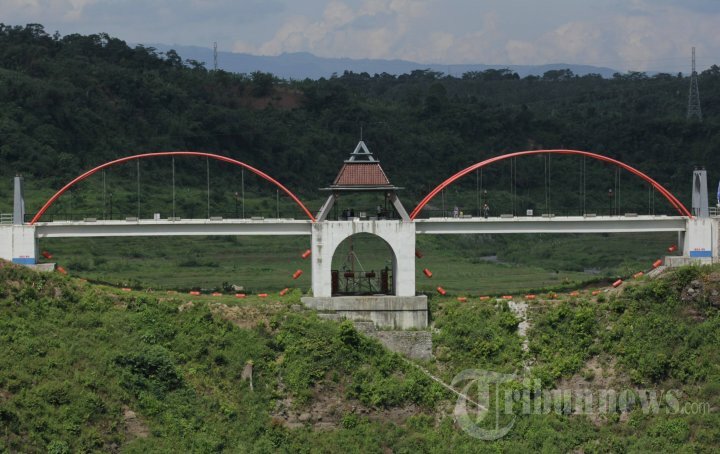 After four years of development, Semarang Jatibarang Reservoir finally started to operate, on May 5 2014, the reservoir with an area of 189 hectares and a vast pool of catchment area is 54 square KM started flooded. 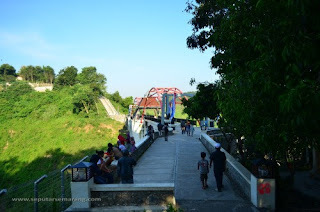 Reservoir filling ceremony conducted by Public Works Minister Djoko Kirmanto accompanied by the Governor of Central Java Ganjar Pranowo and Head of the Central River Region Pemali Heilbron Imam Santoso. 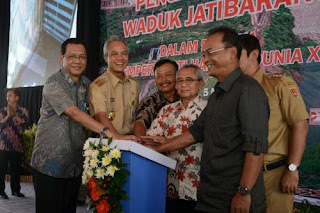 Also present were Mayor and Former Prihadi Hendrar Semarang Central Java Governor Bibit Waluyo.